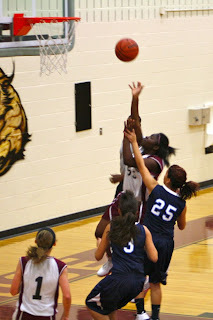 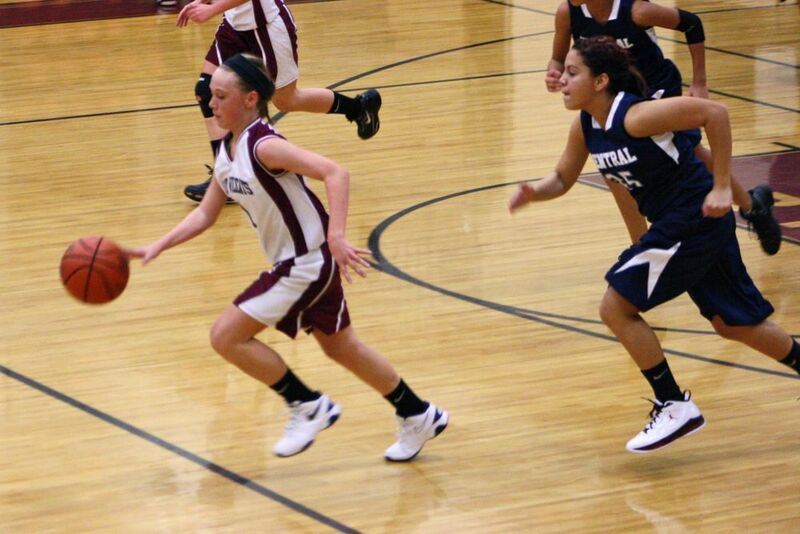 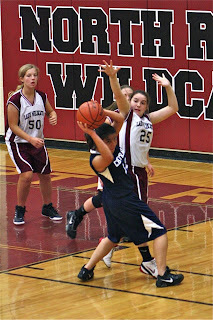 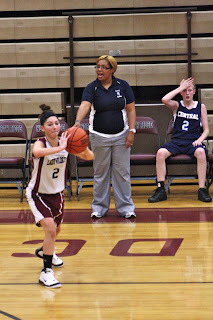 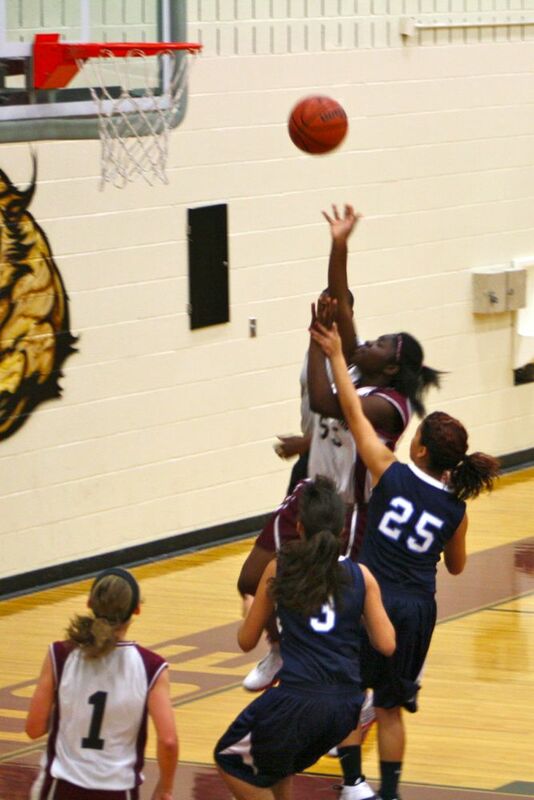 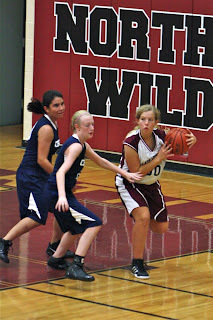 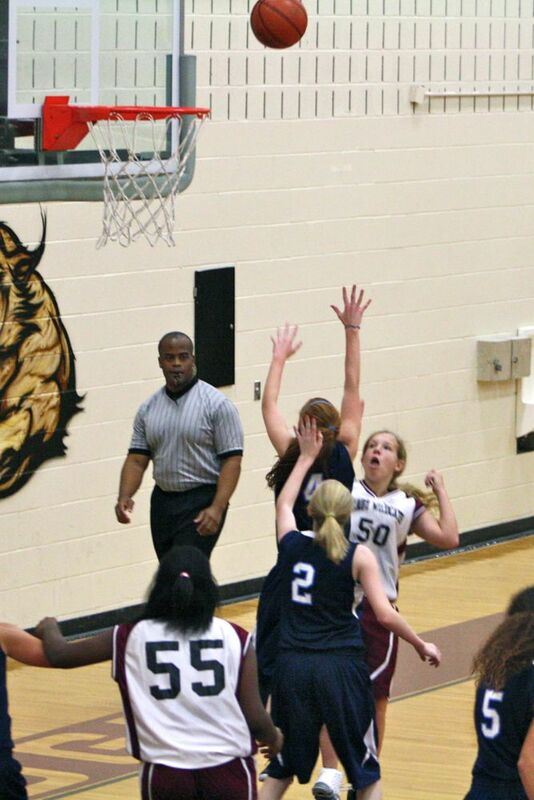 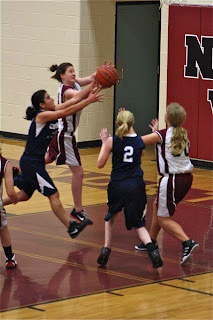 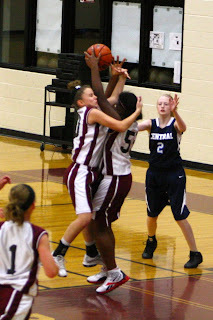 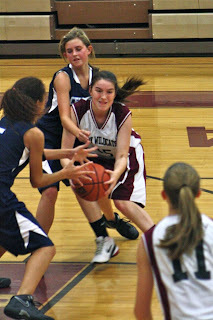 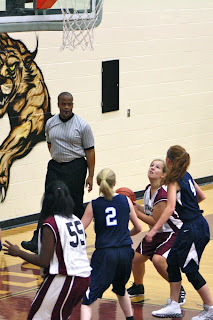 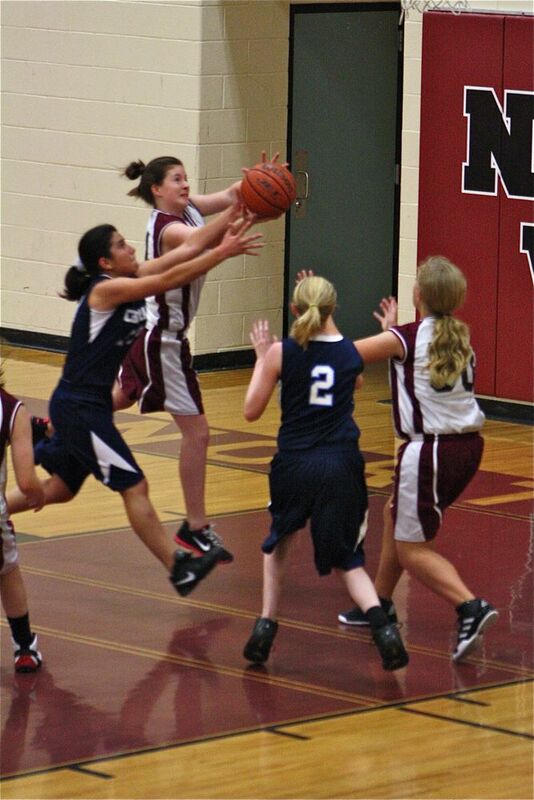 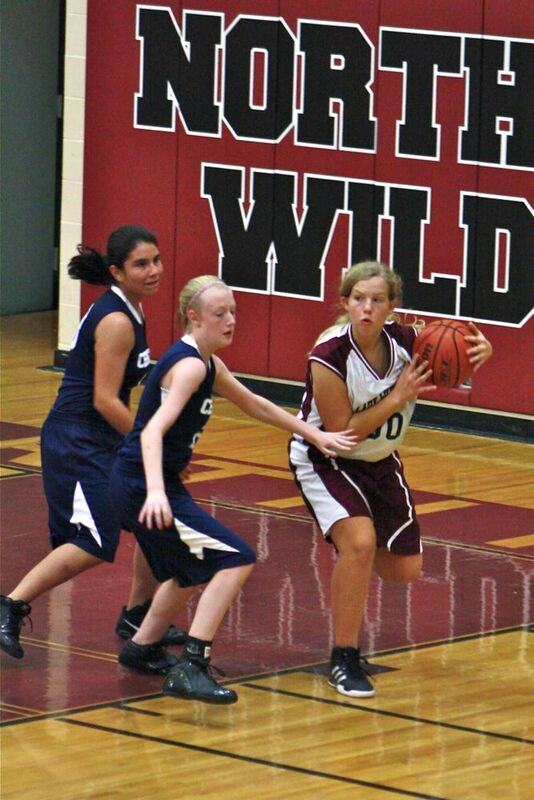 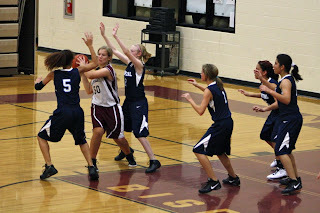 See-Dub: Basketball game 1: CJHS. 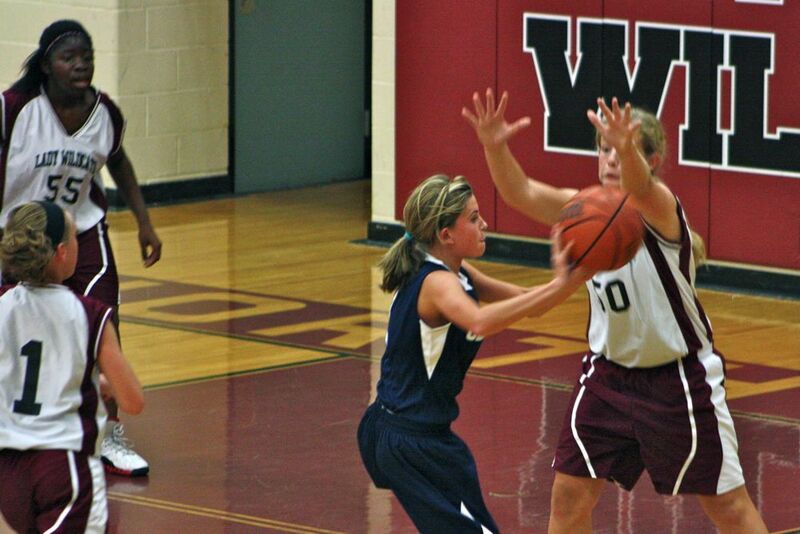 Don't look now, but it's BASKETBALL season! 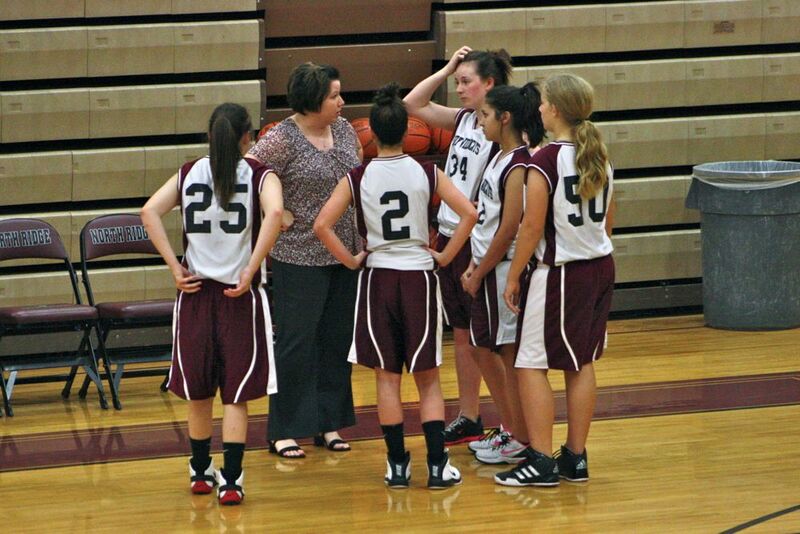 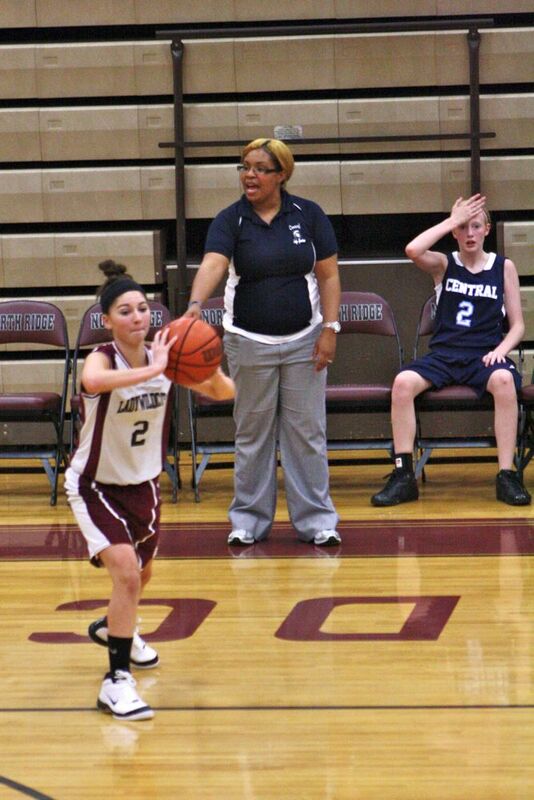 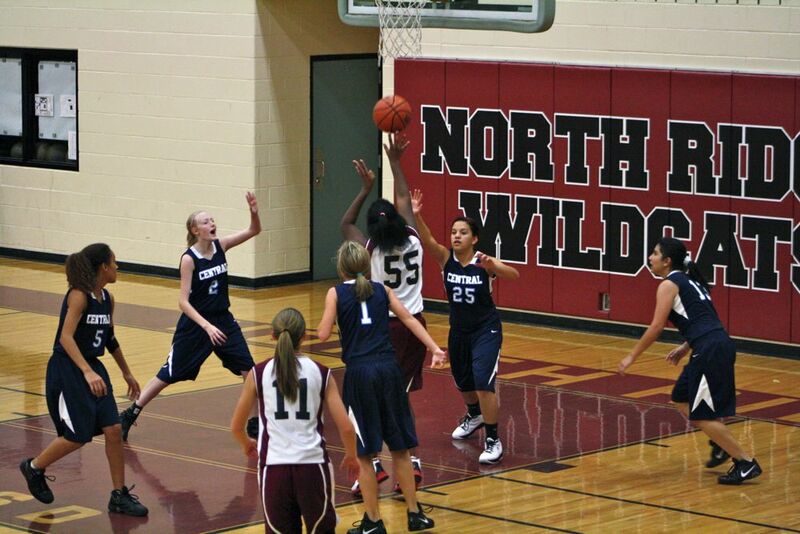 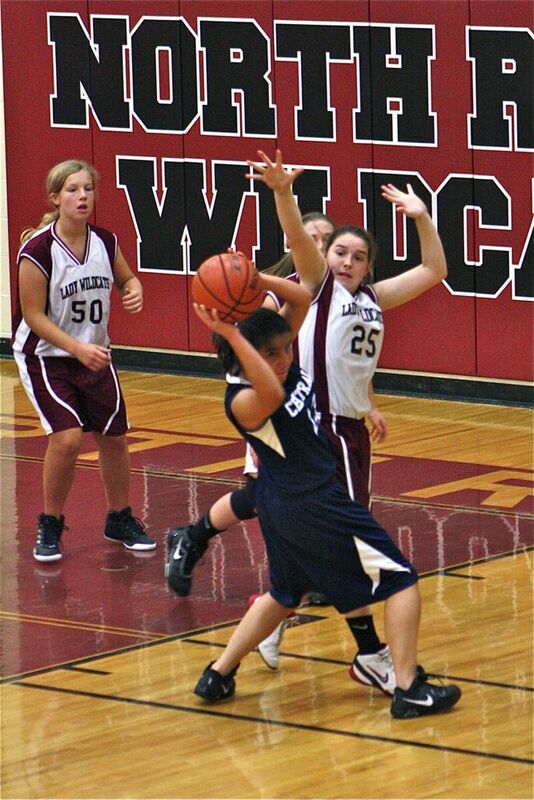 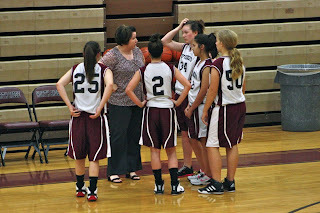 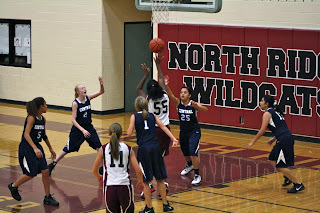 Even though NRMS lost this first game against Central JH, we're still excited to see what this year will bring. 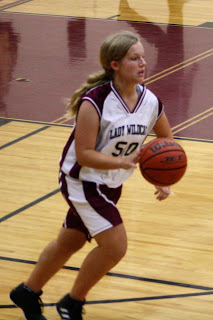 Katie's been having some back pain over the last few months, so we were afraid that might get in the way of her game. 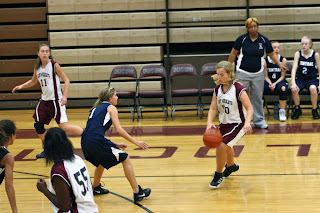 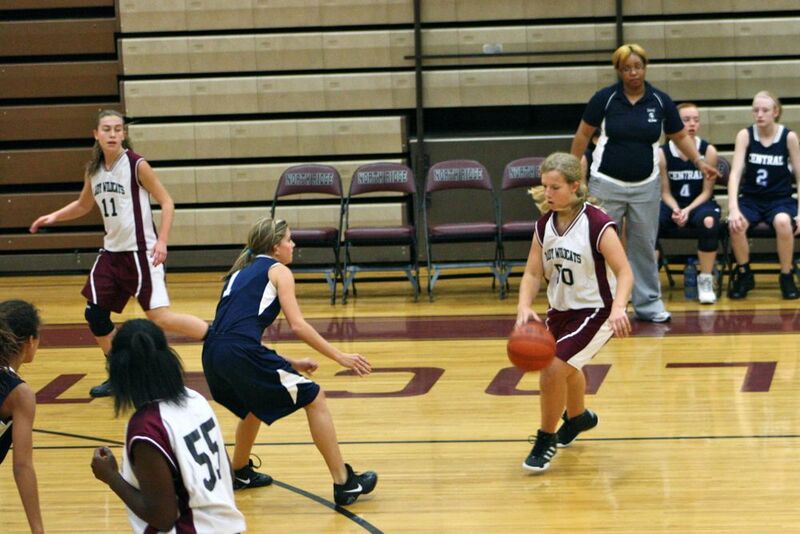 For this first game, her back was still a little troublesome, but she still started on the A team. 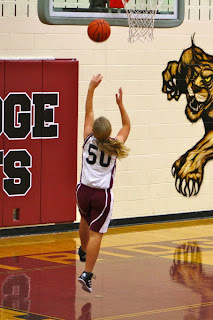 We don't remember how many points Katie scored, but we do know she scored the first points!